Being Synesthetic means that Philippa can see sound, taste and smell in shape, colour and texture, allowing her to create unique portraits of people’s voices, food and drink. 5ftinf is Philippa’s alter-ego. As 5ftinf she has over 380,000 followers on Instagram, largely due to her daily still life shots of ‘The Table’. She highlights ordinary objects, small treasures, garden flowers and cups of tea in artistic compositions drawn from everyday feelings. 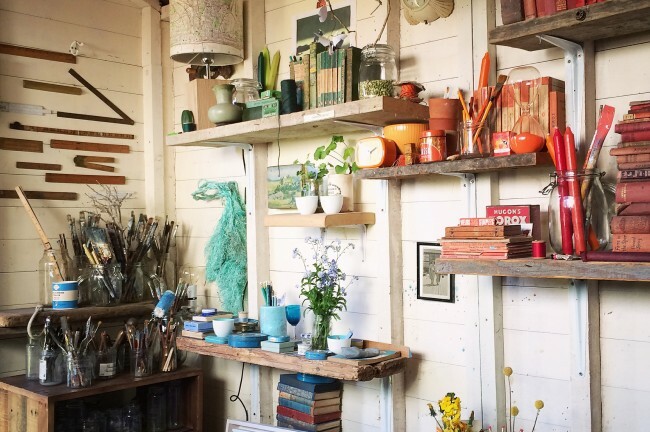 An immersive exhibition into the beautiful world of 5ftinf and tea, including her shed, but not the cat. 5ftinf photo stream on Instagram.